DIMENSIONS: 11.5" from Ceiling to Bottom of Light (with 3" Downrod Included); Weight 25.15 lbs. 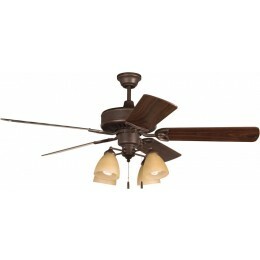 This traditional style ceiling fan features a heavy-duty motor that really moves the air! American Tradition - the ultimate in Freedom of Choice!